There are no Valentino dresses at the exhibition Fashion in France: 1947 – 1957, now open at the Palais Galliera in Paris. But if you want to understand the world where Mr. Valentino got his start, this show is a must-see. The young Valentino Garavani arrived in Paris in 1950—right as that city was entering its haute couture renaissance. The one-two punch of the Depression and World War II had nearly killed off the fashion industry in France, but it came roaring back to life with the introduction of the “New Look,” as Harper’s Bazaar editor Carmel Snow dubbed the wasp-waist, full-skirt silhouette developed by Christian Dior. The look was glam, ultra-feminine, and—what with all those yards of fabrics, after years of rationing books—shockingly luxe. Fashion in France takes Dior and the New Look as its starting point. But the retrospective takes in other key silhouettes from the era as well, notably Balenciaga’s flared “barrel” line, and Chanel’s lean suits. It also spotlights trends that helped to create the fashion industry as we know it today, such as the casual, pullovers-and-denim style of the then-teenage Baby Boomers, and the launch, in 1954, of the first ready-to-wear licensing company by a group of haute couturiers. 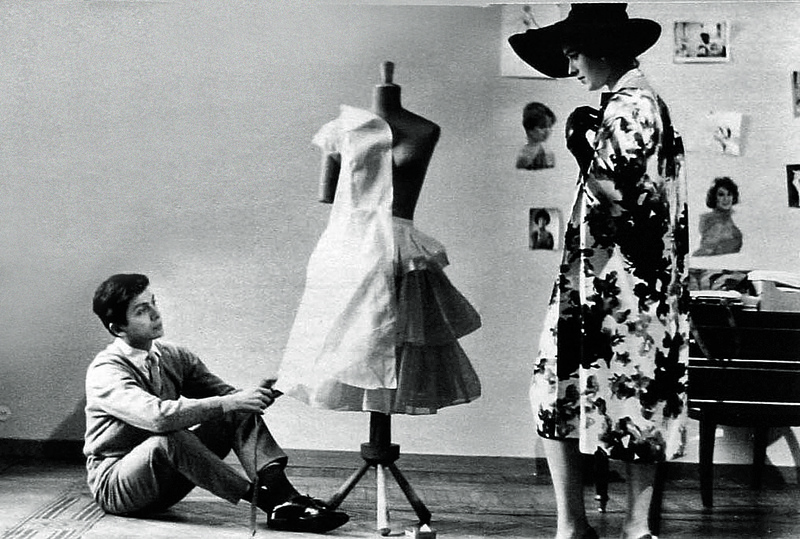 The membership of this 'Couturiers Associés' included Jacques Fath, Carven and Jean Dessès—in whose atelier Mr. Valentino worked after completing his studies. Mr. Valentino’s earliest designs betrayed the influence of his time in Paris. The so-called “Dream” dresses, designed in 1955, conjure all the romance and material richness of the Parisian haute couture of that time. An evening dress in sequined white satin is paradigmatic—that “New Look” nipped waist and crinoline-shaped skirt, cut just above ankles to highlight the volume, with a trim décolleté bodice at once suggestive and coy. 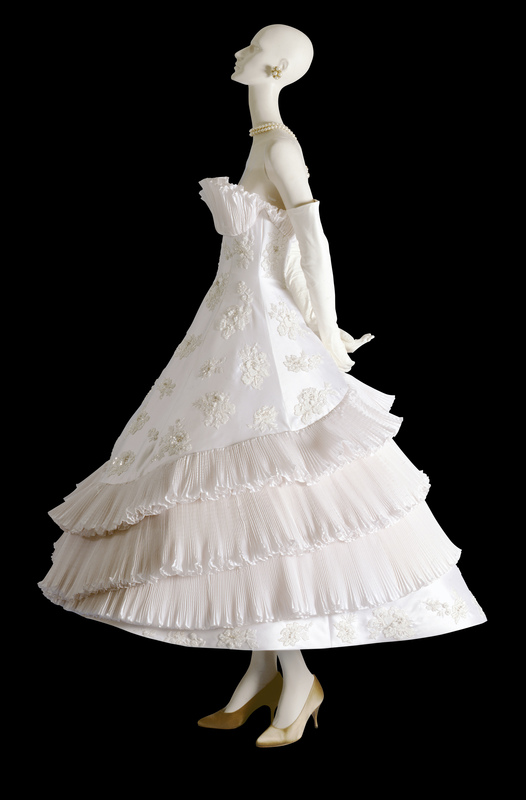 Like the other “dream” dresses, Mr. Valentino’s white satin confection was finally produced in 1990, for the exhibition Valentino: Thirty Years of Magic at the Accademia Valentino in Rome. 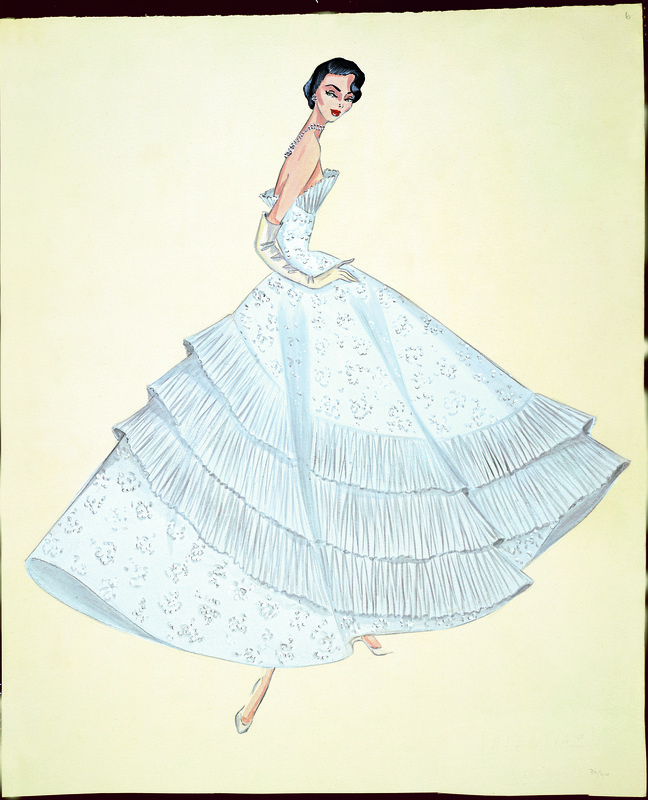 Fashion in France: 1947 – 1957 remains on view through November 2, 2014, at the Palais Galliera of the Musée de la Mode de la Ville de Paris.